Klong Dao has accommodation for all budgets, many with their own spas and nearly all with swimming pools. Khlong Dao is far from overdeveloped though, as resorts cannot build on the beach or above tree height, keeping them unobtrusive and preserving the relaxed atmosphere. Klong Dao has its own particular atmosphere and feels very spacious and uncrowded – it’s a couple of miles of beachfront with the resorts and bars scattered along it, with plenty of trees still providing a beautiful backdrop as you look back towards the island from the beach. 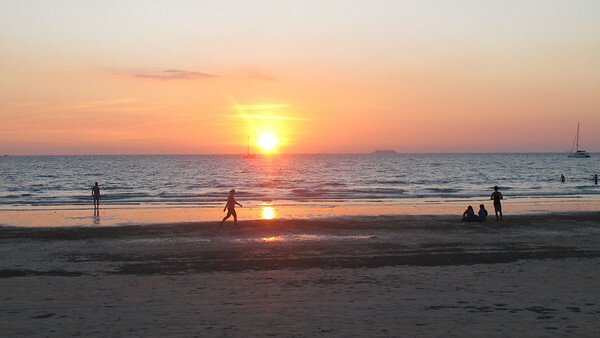 Klong Dao is also a great spot for sundowner drinks to watch Koh Lanta’s stunning sunsets – grab a cushion on the beach and a cold beer at one of the beach bars and be amazed at the colour change over the horizon as the sun goes down. If you want a beach where you can each somewhere different every night within a short walk from your hotel, Klong Dao is a great choice. Klong Dao has a great choice of accommodation to suit luxury, mid range and budget price ranges. Follow the links below to check availability and read previous guest reviews. This luxury resort has several villas, each with a private pool, allowing you complete privacy plus all the conveniences of room service! Mid range hotels are particularly well represented on Klong Dao, providing particularly good value and convenience for families and large groups of friends travelling together. Klong Dao Beach is made of white powdery sand and stretches 3 km. Due to the shape of the bay it retains incredible calm waters making it a favourite choice for families. There’s a good mix of restaurants all along the beach and one in particular is quite famous – the Time for Lime cooking school located near the south of the beach. The Time For Lime restaurant is quite small and they have a select menu which is different every day. The food, view and setting here makes for a great experience. Also check out the beach bars for some friendly drinks whilst the sun is setting and in the evenings many bars play host to fire shows. For more about eating on Klong Dao, see our page on Best Klong Dao Beach Restaurants. If you take a walk to the main road you will find a host of internet cafes, travel agents, ATM’s and a 7 Eleven Here you will find many pharmacies and a dentist and closely by in Saladan a health centre. If you are quite adventurous why not try one of the many Thai restaurants with real spicy Thai food or a Noodle stand. You will see many locals frequent these places and you are always welcome! Move your mouse over each label on our Klong Dao Map to see a quick description and click through for more information. Where Is Klong Dao Beach Located? Klong Dao beach is located at the top of Koh Lanta. It’s the nearest beach to Saladan Village, which is where all visitors to Koh Lanta arrive, so Klong Dao hotels have the shortest transfer times from Saladan. For a more detailed map of Klong Dao itself, see our Google Map below. It takes around 10 minutes to drive from Saladan to any resort located on Klong Dao. As Klong Dao is the most convenient beach to visit on Koh Lanta, it’s also one of the most popular beaches. As well as the restaurants and resorts, there are also many places to eat and stay behind Klong Dao beach on the main road, giving you even more options within walking distance. 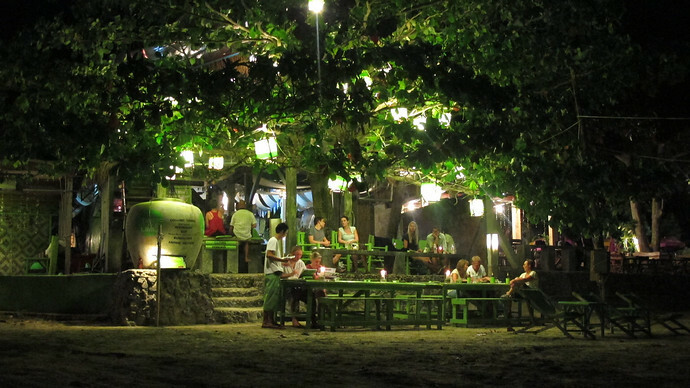 (See our page on Best Klong Dao Beach Restaurants for more info). It’s a five to ten minute tuk-tuk ride from Klong Dao to Saladan village (or a 20 minute walk if you are feeling energetic), where there are several great restaurants built over the water, as well as massage shops, a modest supermarket. opticians and various Thai banks. 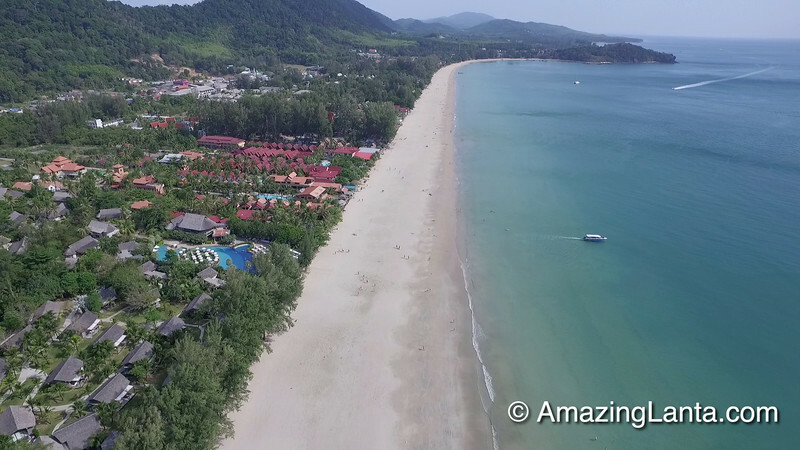 Here is AmazingLanta.com’s interactive map of Klong Dao beach – click on the icons to see information on the hotels and local amenities. Use the + and – buttons on the map’s top left to zoom in and out of the map. You can also drag the map area by clicking on it with your mouse and holding down the mouse button as you drag.